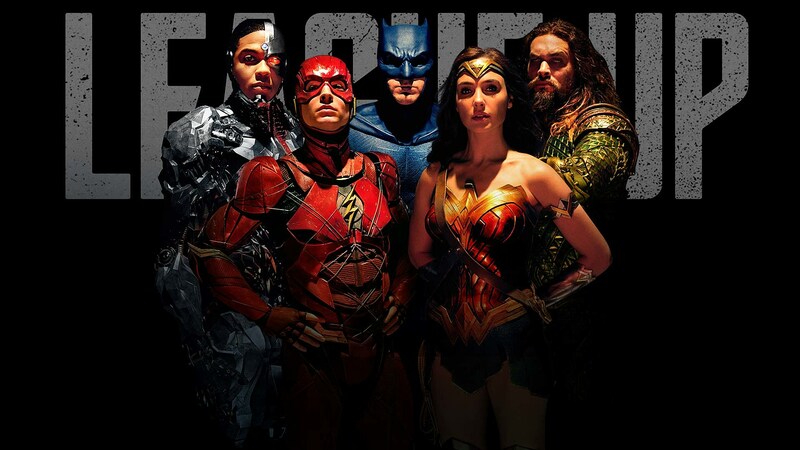 Lost amidst all the hand-wringing and finger-pointing of the Justice League reshoots is the fact that, hey, Warner Bros. is really on top of their advertising game right now. This past Comic-Con featured a slew of new material to get fans excited for the film, including a trailer that really ratcheted up the humor and a new poster directly inspired by some of the classic comic book art by Alex Ross. It appeared that Warner Bros. had decided to go back to the comic books for inspiration in a big way, very much to the benefit of its final product. Over the weekend, DC Comics (via Heroic Hollywood) released another version of the same character designs, this time ramping up the Alex Ross influence by having our favorite superheroes standing in profile together. It also aligns pretty well with that Comic-Con trailer, emphasizing both the Flash and Wonder Woman and downplaying (a little) Batman. All part of your lighter, brighter, and funnier Justice League, right? The film will star Ben Affleck, Jason Momoa, Gal Gadot, Ezra Miller, Ray Fisher, J.K. Simmons, and Amber Heard. Justice League will fly into theaters on November 17, 2017.